Dog treat bags are a great way of storing dog treats whilst training your dog. You can of course just put treats into your pocket. Let’s be honest most dog treats are smelly and potentially messy. Cheese, meat and dried treats can all end up in a bit of mess. A dog treat bag is a great way of avoiding your clothes smelling and more importantly offer a quick and easy way of rewarding your dog. You can picture the scene, it’s a glorious sunny day and your normally badly-behaved dog is responding well to reward training. Then catastrophe strikes when you suddenly run out of treats. Your dog reverts back to not listening and you go home feeling like you have just missed a massive learning opportunity. Select a dog treat bag that can hold enough treats for a decent training session (possibly an hour’s worth). This is of course dependant on how many dogs you have and size of dog. Going for a massive bag is of course not practical so be sensible and aim for something that can at least hold one bag of high-quality dog treats (we would recommend in the region of at least 10cm width by at least 15cm height). Whilst walking and training your dog, the last thing you need is a bag to carry. Imagine teaching your dog to heel on the lead, it decides that a number two is in order and suddenly you have to contend with dog lead, dog treat bag and poo bag all at once! Go for a treat bag that offers a simple way of attachment via a belt clip (a robust carabiner is best). If you’re a little more discerning, you may want to opt for something a little more discreet and stylish than a traditional style ‘bum bag’ set up. Dog treats can range from fishy treats to squidgy cheese, so you want a dog pouch that can be washed. Ideally you want a machine washable treat bag to make life a little easier and to ensure the bag is really clean. When out with your dog you will have poo bags, keys, phone, money and many other necessities. The ideal treat bag should be able to handle some of the most important items. At least the ability to carry poo bags and keys would be imminently sensible. 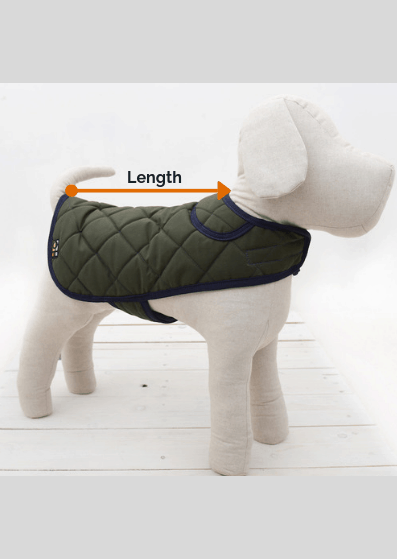 This will allow a quick an easy way to take your dog out for a training walk. Good quality treat bags that tick all of the boxes won’t necessarily be cheap. You want something that will last. Whatever material your treat bag is made of it should be hardy. You want to be able to explore forests and mountains without worrying about damaging your dog treat bag. If your phone is in your dog pouch and you drop it, you want to know its protected. Pick a fabric that is hardwearing and, if washable, maintains its look. Dog walks are sometimes dry but often not. If you get caught in a shower you want to know your dog treats will remain dry along with any other valuables. Your bag doesn’t necessarily need to be waterproof but should offer some protection. Whilst training your dog you want to have the ability to get dog treats quickly and efficiently. A dog treat bag with a drawstring is a great option as it can be operated with one hand. 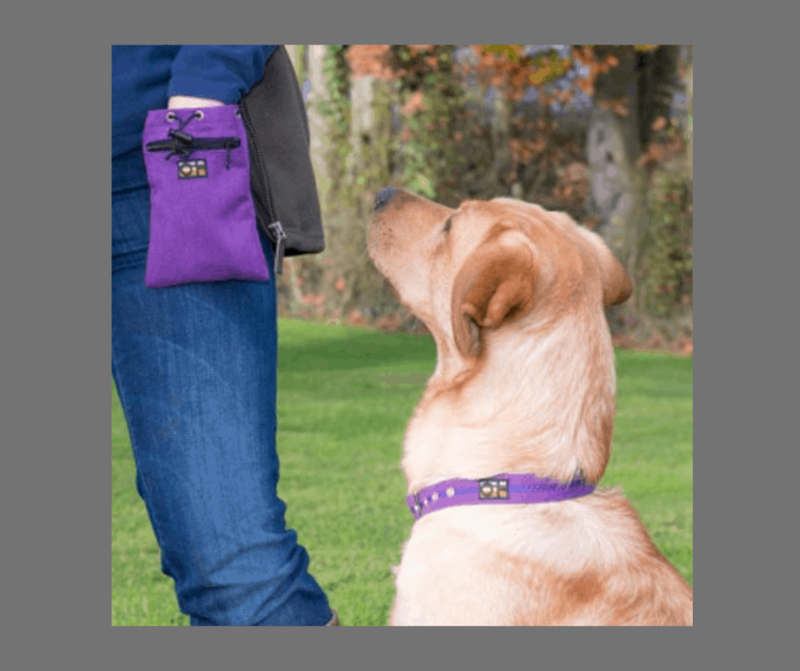 A drawstring design also allows quick closure of the dog pouch ensuring you don’t lose any treats along the way. The Oscar & Hooch dog treat bags tick all the boxes and can be viewed here.